High speed jumbo bag packing machine for plastic pellets in South Korea is specially made for both ton bag and 50kg pp woven bags, which is cost effective and best choice for our client. 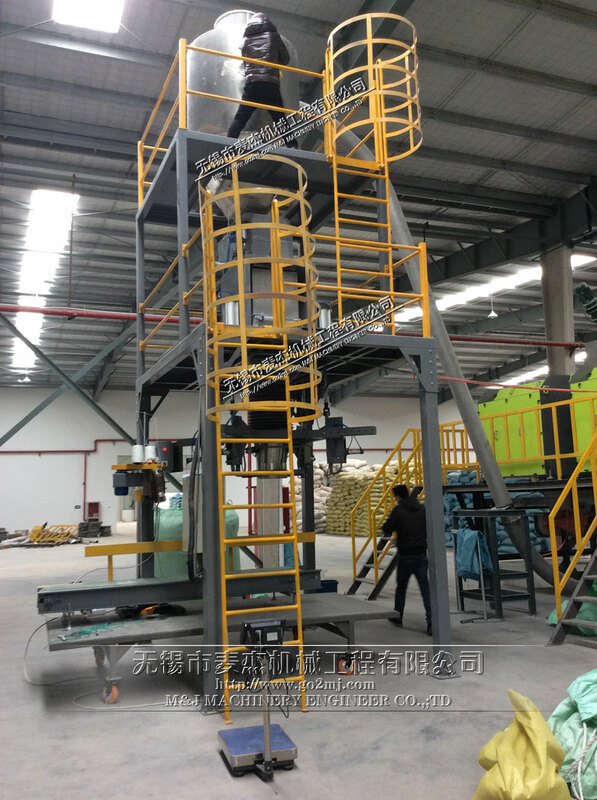 This machine is applicable to pack plastic pellets, plastic particles, plastic granules, filler masterbatch, caco3 masterbatch, etc. In order to save packing space and machine cost, our South Korean client requested us to manufacture jumbo bag packing machine which can both pack a ton bag and 50kg pp woven bag. It took our engineers about 2 weeks to design this machine, which perfectly combines our jumbo bag packing machine and 50kg bag packing unit. 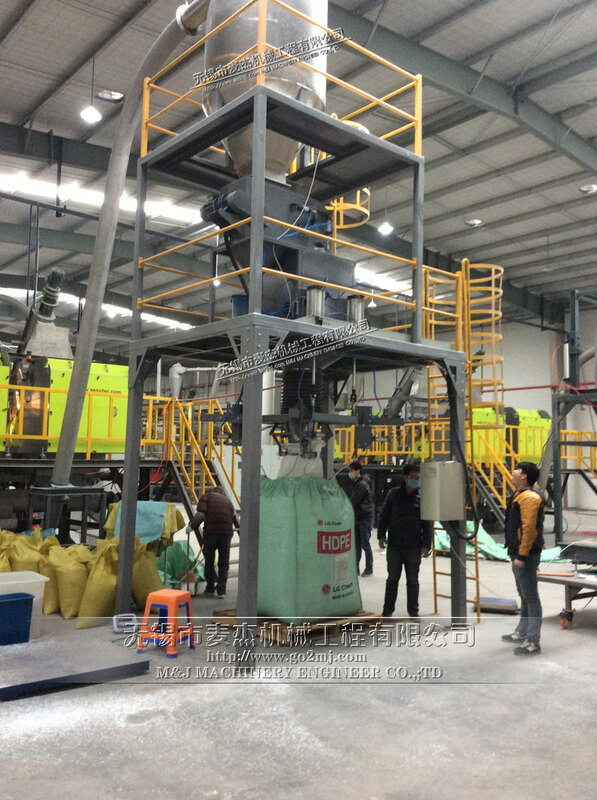 Our client was very satisfied with this plastic pellet packing machine and is considering to give us another project- fully automatic bagging palletizing line next year.